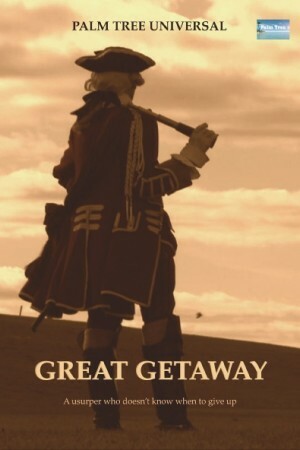 Great Getaway tells the tale of Prince Charles Stuart, grandson of deposed James II. When he faces a crushing defeat in the Scottish Highlands, he flees to the Isles. Hiding with his Irish commanders as the British Redcoat troops scour the land, a reward of £30,000 is posted for his capture, a sum that fires the imagination of all Europe, yet he is still protected by the highlanders. After fleeing for France, Charles is left to reflect that he found the greatest loyalty and the finest moments in his life, not at the head of his army, but in his time amongst ordinary people who risked and lost their lives for him.